Today’s healthcare landscape is in the middle of a complicated reorganization, a changing regulatory structure of care coordination and payment reimbursement from fee-for-service (FFS) to value-based care. Payment and healthcare delivery models are evolving, and independent physicians, clinicians, specialists, hospitals, and private payers are being forced to reexamine current organizational structures, administrative costs, management systems, care processes, and advances in technology, as they focus on quality improvement and cost-efficiency. Independent Practice Associations (IPAs) and Accountable Care Organizations (ACOs) allow physicians to play an instrumental role in healthcare reform and in the transition to value-based care. Independent Practice Associations (IPAs) are physician-led entity groups, made up of solo or small group primary care and specialty physicians, who are usually tied to a specific geographic location. IPAs are designed to negotiate on behalf of their participating independent physicians, regarding the acquisition of new patients and patient reimbursements. IPAs allow physicians the opportunity to grow their practices and to remain competitive by coordinating physician resources, by offering management and technology support, and by giving their physicians more contract bargaining power. IPAs contract with insurance companies, HMOs, ACOs, and even hospitals regarding modified fee-for-service or capitation payments. An IPA entity group can represent tens or thousands of assembled physicians, giving individual physicians the opportunity to take part in a collaborative approach to healthcare, by sharing resources, data, risk, and expenses associated with adapting to value-based program models, while allowing physicians to maintain their independent status. Accountable Care Organizations (ACOs) are physician-led entity networks, made up of doctors, specialists, surgeons, pharmacists, care managers, and hospitals who agree to coordinate care for a patient population, with the goal of improving the quality of care for patients, while eliminating unnecessary spending. ACOs associate payment for health care directly to the quality of care provided, rewarding healthcare providers for delivering high quality, efficient clinical care. The Affordable Care Act (ACA) of 2010 required the Centers for Medicare and Medicaid Services (CMS) to establish ACOs as a key component in Medicare payment reform. After successful results with their own Pioneer ACO Program, CMS initiated the Medicare Shared Savings Program (MSSP) in 2013 to establish more ACO partnerships, as well as to encourage partnerships between ACOs and other commercial insurers. Under the MSSP, ACOs would assume the financial and medical responsibility of a patient population, while being incentivized with savings bonuses by successfully meeting quality and savings performance requirements. 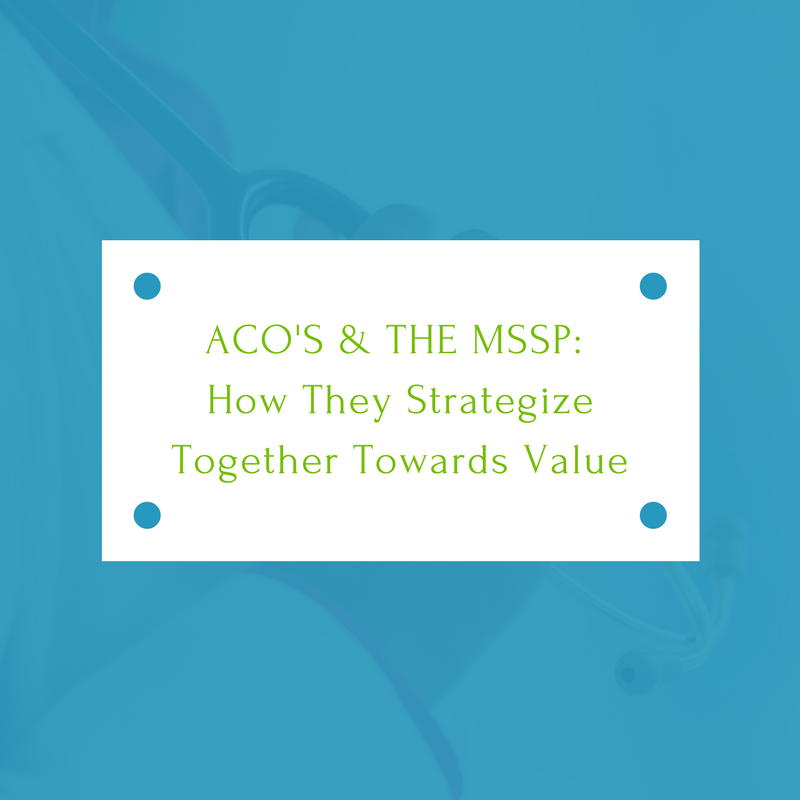 With their involvement in the MSSP, ACOs became an instrumental part of the long-term strategy toward sustainable value-based healthcare. As the shift towards value-based healthcare continues, it’s becoming more difficult to operate as a solo practitioner or small group practice. MACRA requirements, specifically under the Quality Payment Program (QPP), have created regulatory frameworks that require large financial investments in clinical improvements, information technology, and administration. At the same time, physicians must stay focused on being cost-effective while successfully achieving performance-based, quality measures. In addition, mergers, buyouts, and the maneuvering of hospitals, healthcare providers, and health networks have created a scenario where it could be difficult for some solo and small practices to compete for new business or even to stay in business at all. These factors place a tremendous burden on the solo physician or small group practice. Independent Practice Associations (IPAs) give independent physicians the opportunity to join together as an association to strategically develop larger scale, more competitive, third-party contracts and to share in the costs associated with QPP regulation compliance and scoring under the Merit-based Incentive Payment System (MIPS) scoring. In many ways IPAs resemble ACOs with their emphasis on care collaboration, communication, and coordination. If fact, many IPAs already function like ACOs, demonstrating “extensive experience working within risk-bearing arrangements…[thus] making them ripe for ACO development which incorporates similar shared savings concepts” (Torrieri). Independent Practice Associations have represented the interests of independent physicians for years helping them to join or to form ACOs, whereas the potential alternative for physicians would be to become employed by a hospital or large medical group. With the help of Independent Practice Associations (IPAs), Accountable Care Organizations (ACOs) deliver a value-based, connected care experience for patients, and they facilitate coordinated communication between primary care physicians, next step medical providers, and patients and their families, while emphasizing value and best practices for patient needs. In “Independence-Minded Physicians Turn to ACOs,” Maria Castellucci points out that “as healthcare grows more complex and technology-reliant in the push toward value-based care, independent practice providers are looking to ACOs as a way to adapt to changes while also keeping their autonomy.” ACO programs like the Medicare Shared Savings Program (MSSP) and other health insurer ACO programs are often supported by multiple IPA entity groups, contracted to make up the physician “arm” of the ACO model, allowing ACOs to meet their Primary Care Provider requirement, as well as to grow their patient base considerably. Unlike its IPA partner, an ACO expands its network reach with other partnerships that cover the entire continuum of patient care. ACOs function as an Alternative Payment Model (APM), an integrated health system reporting under a single Tax Identification Number (TIN), with each clinician being graded under the QPP, based on the performance of the ACO as a single entity group. At the heart of the ACO model are medical care value and “connectedness.” Physicians and clinicians across specialties share patients’ medical data through an integrated, information platform, providing care in a teamwork approach, rather than in a traditional silo or independent approach. Physicians gain valuable feedback on patient health as well as on their own patterns of care, services, and expenses, which they can use for self-improvement and to compare to the work of their peers, producing a healthy, competitive environment that helps to lower costs and raise the level of quality care for patients. With the help of Independent Practice Associations (IPAs), Accountable Care Organizations (ACOs) deliver a value-based, connected care experience for patients, and they facilitate coordinated communication between primary care physicians, next step medical providers, and patients and their families, while emphasizing value and best practices for patient needs. This medical “connectedness” and value awareness helps to successfully navigate patients through the healthcare system, improving the quality of care and the quality of life for individuals and their communities. Castellucci, Maria. “Independence-minded physicians turn to ACOs.” ModernHealthcare.com. February 3, 2018. Torrieri. Marisa. “Independent Practice Associations Take on New Role in ACOs.” PhysiciansPractice.com. April 24, 2012.